Why is national democracy insufficient? Political decisions in one state have an impact on people in other states. There are political issues that transgress the borders of the nation-state. If nation-states actually were completely self-sufficient, one might be inclined to argue that national democracy is satisfactory for the ideal of collective self-government. But this is not the case. Firstly, because one state’s decision-making capacities are dependent on what other states do. Even if we leave aside the issues of tourism and migration, one polity’s legislation greatly affects the interests of another country’s citizens and thus limits their political choices, particularly with respect to neighbouring and to powerful countries. Important examples are (the absence of) environmental laws and economic policies that are, in theory, binding only in one country but that affect people in other countries. If factories in one country pollute a river that goes through another country, these people have to deal with the effects. If one country decides to lower their taxes on businesses, the businesses in another country may decide to move there, effecting the overall economic well-being of that country, including employment and welfare state capacities. Secondly, nation-states are not self-sufficient because the problems people face, particularly in our age of globalization, transgress national borders. Issues such as international migration, capital mobility, terrorism, or climate change are impossible to address by simply implementing national legislation. Quite the opposite: The existence of many different jurisdictions and sets of legislation can actually increase the problem at hand, for example by providing incentives and opportunities for tax evasion. Hence, both of these facts put in doubt the idea of collective self-rule in solely national contexts. In fact, they question the fit between the nation-state and political decision-making more generally. They call for transnational political action. This is, admittedly, nothing new. International cooperation has been necessary since the day the nation-state was invented. Traditionally, this takes the form of negotiations between representatives of different states – what we usually call ‘diplomacy’. However, this form of transnational collaboration is highly problematic. The negotiations between governments (e.g. G7 Summits) or their immediately dependent representatives (e.g. UN) only include a very limited number of people and thus a very narrow range of political opinions. The vast range of possible views on political questions present in one country (arguably around 65 million in the UK) is reduced to exactly one. Thus, disagreements in international politics do not lead to debates about different political visions and ideals, but to opaque bargaining and horse trading around the so called “national interests”. This makes effective problem-solving extremely difficult, as policy agreements are usually minimalist and incoherent (as exemplified by international negotiations on climate policies). What’s worse, democratic accountability suffers hugely in these formats. The agreements governments reach on the international level are rarely discussed in national democratic channels. Parliaments do not have a chance to properly participate in the negotiations and the general public is often excluded entirely. Thus, the influence of the electorate on international decision-making is usually close to zero. It is also very difficult to hold governments accountable for their actions in multilateral negotiations. In the globalized and globalizing world we live in, the dominance of old-fashioned diplomacy is becoming more and more problematic. It is neither an effective nor a very democratic means of making political decisions in increasingly important transnational contexts. However, the problems I just explained can be solved or at least mitigated. One can transform the way political decisions are made in international contexts by incorporating them in a democratic institutional framework. Particularly important for this is a transnational parliament. In a parliament, the different political views held by citizens are represented through different parliamentarians, parties, and party groups. Parties would be pressed to develop value-based, consistent policy programmes. They would form coalitions to take over government in order to implement their ideas. In recurring elections, they could be held accountable by an international electorate whose divisions are not based on geographical affiliations, but on political visions. This would not mean to create a supranational super-state. My ideal of transnational democracy is coupled with a federalist vision where different levels of government are responsible for addressing different political problems. Ideally, the layers would both cooperate but also wrestle over problem-solving capacities. Regional interests could also be integrated in the transnational institutions with the help of a second legislative chamber, similar to the German Bundesrat. These measures would enable effective and democratic problem-solving on a transnational level. They explain my endorsement for transnational democracy more generally. But why should Europe and the European Union be the right frame for such an institutional arrangement? I see two important reasons why Europe and the EU are a good format for democratic transnational decision-making. Europe today appears to have a distinct set of common issues. Some are a function of Europe’s geographic location (attentiveness to conflicts in Ukraine and Syria, influx of refugees), some are a function of its relative wealth and stability (e.g. influx of migrants), some are a function of the integration process itself (e.g. Eurozone crisis). The proximity and quantity of states on this small European continent ensures the ongoing generation of common problems. Europe could thus be perceived as a “community of problems”, calling for European-wide policies to address them. This distinguishes Europe from institutional arrangements like the Commonwealth of Nations which is too dispersed and too heterogeneous to form such a community of problems. Furthermore, the practices, ideas and institutions that are necessary for a functioning transnational democracy are already in place in Europe. The EU constitutes the most integrated international institution and the European Parliament the most powerful directly elected supranational assembly in the world. This provides a solid institutional framework for transnational democracy. Moreover, as the EU consists exclusively of democratic member states (albeit with problematic developments in Poland and Hungary) and has made democracy a pre-condition for further accession, Europe is a promising candidate for transnational democracy. In Europe, political traditions, party families and policy preferences are relatively similar so that what divides citizens politically is less their nationality but rather their electoral orientation. These aspects set the EU apart from other regions where deeply integrated institutions are absent (North America, NAFTA) or lack democratic support (Arab League). Europe as a community of problems with an existing, far-reaching and integrated institutional framework, built on democratic ideals, therefore seems to be the right setting for the realization of transnational democracy. The EU is not as undemocratic as people think. The EU’s institutional design is a result of accommodating ideals of both democracy and national self-determination. The EU can be transformed – dissolving it will not get us any further. Compared to classic diplomatic negotiations, the EU is a huge step towards transnational democracy. 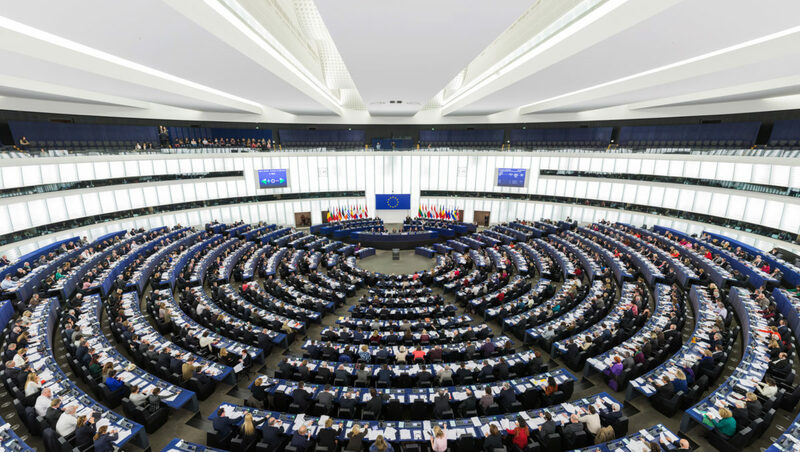 The members of the European Parliament are directly and proportionally elected by the citizens of the 28 member states with specific electoral rules decided by each country individually. To make up for different country sizes, smaller states are relatively overrepresented so that they send more parliamentarians per citizen than larger states. Still, the representatives from large states dominate the parliament with the five biggest countries sending almost half of all MEPs. Fortunately, parliamentarians are not aligned in national groups but in party groups, separated by political ideology. This allows for the various political views citizens hold to be represented in EU decision-making – including Eurosceptic views. The parliament is co-legislating in the vast majority of European decisions, together with the Council and the European Council where national governments are represented. Similarly, the members of the European Commission are appointed by the national governments but must also be approved by the European Parliament. Thus, the directly elected European Parliament plays an important role in EU decision-making. The only really unelected officials in the European Union are regular members of staff. But this is true for every bureaucracy, also in national contexts. The main point of criticism one can put forward against the EU from the perspective of democratic ideals, is that the role of national governments is extremely strong. This leads to long chains of delegation (voters -> national parliaments -> national governments -> European representatives) and to the exclusion of national oppositions in European decision-making. However, the reason why national governments play such a huge role, making the inclusion of opposition and democratic accountability difficult, is that the EU’s institutional design is a compromise between the ideal of democracy and the ideal of national self-determination. As long as nation-states are portrayed as a particularly justifiable frame for political decision-making, national governments have a strong claim to legitimacy in EU politics. And they won’t give up their special position in the European institutions easily, even if this means to mitigate the ideals of democracy. The current institutional arrangement thus reflects a compromise – and considering the somewhat utopian character of the project of European transnational democracy, some forms of concessions are inevitable. And yet, it is the very nature of compromises to make everyone unhappy. Thus, an institutional reform of the EU is desirable. To enhance democratic control in European decision-making, one would want to increase the competences and, subsequently, the visibility of the European Parliament. Many eurosceptics like to claim that reforming the EU is impossible, that it is a malevolent block completely out of control. However, this perspective neglects entirely the major transformations the EU has undergone over the sixty years of its existence. Particularly the last 25 years have brought about democratic reforms that made European decision-making more transparent, enhanced the position of the European Parliament and gave specific participation tools to citizens such as the European Ombudsman and the European Citizens’ Initiative. To be sure, these arrangements are far from perfect. But they demonstrate that improving the EU is absolutely feasible. In the end, democratic reform depends on political will – and thus on the demands put forward by citizens e.g. through social movements. The dissolution of the EU, on the other hand, would not bring us any closer to the goal of transnational democracy. It would mean a return to classic diplomacy and its opaque, interest-based and unaccountable forms of political decision-making. It is therefore important to understand the democratic merits of the EU, the reasons for its ambivalent character, and the desirability and feasibility of institutional reform in Europe. This enables us to move towards more democratic forms of transnational politics and thus towards the reconciliation of ideal and reality. This is the reason why I endorse European integration. With regards to the British EU referendum, I would thus argue that – besides all the concerns about economic stability and growth, about security, about regulation and deregulation – a remain vote would actually enhance democratic self-government. A leave vote would mean that British citizens would not only lose their influence over EU policies the UK is likely to adopt anyway to participate in the single market, but also over policy-making more generally. British citizens would be deprived of the channels for political participation offered by the European Union, most importantly the European Parliament. Instead, power would be given to opaque international bargain committees with little oversight by the public, the opposition, or even the British parliament. Decisions in these committees would be based on technocratic perceptions of the “national interest” and would be unfit to tackle the problems we face in our globalized world. Voters who are sincerely concerned about the future of democracy should therefore vote remain. Only then can we keep working on modern and transnational forms of democratic inclusion in the 21st century.